The book will inspire its readers and perhaps shock many at the extent of their own lack of awareness. There is an almost hidden history of political resistance which is so often ignored or concealed by the dominant ideology within which it sought voice. The book is a wellspring of ideas for future researchers who wish to explore further this history, particularly in connection with female emancipation and action in the world. Oldfield’s book has three sections. The first section has essays on Paine, Blake and Shelley, Hazlitt and Malthus and includes a close reading of Magwitch’s character in Great Expectations. She compares Magwitch’s fierce anger at his ‘low’ situation and behaviour with Cobbett’s condemnation of the manner in which the response to oppression is often quiet submission, and with Engel’s urgent plea for rebellion against the political conditions which permit such exploitation. Oldfield convinces us that Magwitch’s treatment of Pip as a possession, as a construction, is at the root of this opinion. At this point, Pip is not a self-determining human being (but perhaps has the latency for this capacity as his name suggests). She further indicates Dickens’ view that gentlemen ‘lived smooth’ as a result of the work done by others. Such inequalities could only be justified by regarding this underclass of wealth generators as ‘warmints’ or vermin, the feral poor, hardened to hardship and unworthy of sympathy. Pip’s empathy with Magwitch’s humanity ultimately promotes his own integration of past and present selves, allowing the seed of his true potential to germinate. According to Oldfield, however, Dickens leaves us considering our own acceptance of those inequalities which permit the dehumanisation of both ‘gentlemen’ and ‘warmints’. The psychological necessity to justify ‘badness’ of this type, to avoid acknowledging the violence of one’s feelings, particularly toward those with whom we are closest, is discussed by Oldfield at the end of her book. She argues that the aggression demonstrated in struggles for power, for control of economies and resources, is a manifestation of transference. The frustrations and tensions apparent in family relationships, where destructive feelings are repressed and perhaps concealed in most circumstances, achieve expression in tribal behaviour which regards ‘the other’ as being outside the boundaries which enclose civilised behaviour and the care provided to those we love. On a more optimistic note she also regards the humanitarian impulse, the instinctive concern we have for those in distress, as a source of hope. Certainly for those women described in the second section of Oldfield’s book, this impulse generated extraordinarily altruistic behaviours, despite being elicited in circumstances of social derision, torture and state legitimised execution. Oldfield’s essays are sometimes taken from more substantial texts such as her Collective Biography of Women 1550 – 1900 (1999) and her Women Humanitarians: a Biographical Dictionary of British Women Active Between 1900 and 1950 (2001). Exemplary lists feature quite frequently in her book. Oldfield describes at one point some of the common characteristics of many of her subjects: intelligent, well educated, confident class position, financial independence, a left/liberal political stance, a standing provided by ‘Britishness’ in the days of Empire, childless but with a conception of ‘parenting the world’, and a ‘capacity for enormous effective kindness’. This description alone is hugely indicative of those conditions required for confident and interventionist action in the world. Oldfield discusses why such biographies are ignored, difficult to locate or indeed unwritten. In the case of Sophie Scholl (1921-1943) the German resistance worker, Allied demonisation of all Germans was necessary in order to justify policies such as carpet bombing of German cities and post-war settlements which resulted in destitution and starvation. Sophie Scholl with her brother Hans was a member of the White Rose Resistance Group, based in Munich then the capital of Nazism, and dedicated to the earliest possible ending of the war by the defeat of Hitler. She distributed and wrote subversive literature urging sabotage and supporting morale amongst like-minded Germans. After capture and trial she was convicted of ‘preparation to commit treason’ and beheaded by guillotine. Oldfield describes her exultant responses to the natural world, her despair at authoritarian militaristic nationalism exacerbated by a friend’s dehumanising service at the Eastern Front, her reading of subversive or proscribed literature such as Heine, Mann, Shaw, Maritain and Kierkegaard. Her martyrdom is described by Oldfield as affirmation that true strength is not armed strength but the power to transmit life, both physical and spiritual. 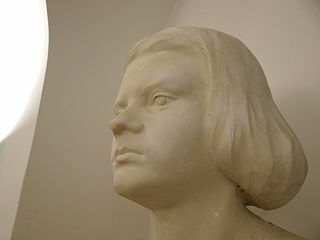 Sophie Scholl is described by Oldfield as ‘Germany’s Antigone’, and Sophocles’ play of this name is another recurrent theme in this collection of essays. Antigone, ruled by Creon, is forbidden from burying her brother Polyneices, dead after his attack on Creon’s city. The play illustrates the conflict between individual conscience and state power, between feminine feeling and masculine force. Antigone defies the law and is punished by being buried alive for following her conscience, whilst Creon at the end of the play becomes her opposite: a living corpse. Virginia Woolf’s readings of this play involve comments and references made over a span of more than 30 years. According to Oldfield the text was almost scriptural in its impact on this writer. Oldfield contrasts Woolf’s analyses of the play with those of several 19th and 20th century critics including Hegel, Hölderlin, Kierkegaard, Anouilh and in particular George Steiner, whose ‘unanswerable questions’ posed by Sophocles she answers systematically. Sophocles’ distinction between the laws of the state and ‘The Law’ were of particular significance for Woolf, especially as fascism ‘revived’ Creon in 1930s Europe. Much of Oldfield’s book deals with the response of her subjects to 20th century upheavals, to the conflicts between conscience and the praxis required when faced with the rise to power of ‘a wretched, uprooted youth, wandering about in the streets of Vienna’ whose ‘model of greatness was Sulla’ and who experienced the humiliations and depredations of the Treaty of Versailles before writing in Mein Kampf that force ruled both planetary motions and human action. Simone Weil regarded the human heart’s intuitive sense of obligation to the afflicted as more significant. Oldfield recognises Simone Weil’s reputation as religious mystic but concentrates on her political thinking and describes the ambivalence she experienced whilst, despite her pacifist beliefs, taking arms in support of anarchist self-governing communes against Franco’s fascist invasion of Spain. Simone Weil regarded the slavery of a worker in a capitalist economy as nothing compared to the slavery of a soldier and made explicit the dehumanising effects of mass production and the impersonality of bureaucratic administration. She regarded the detachment from conflict which civil defence sustained as more likely to encourage conflict, and she criticised the powers of life and death given to heads of state whose pockets were lined by the arms industries. The jingoism, sentimental treatment of conflict and glorification of destructive militarism which underscores national economies reliant upon war ultimately destroyed true wealth, the cultural inheritance which is the ground of our future growth as a species. One wonders about what her response might have been to current uses of drones and to military ‘celebrations’. Oldfield’s surveys of the practical activities of women such as Simone Weil and Sophie Scholl in Europe, of Eleanor Rathbone campaigning in the 1930s for the rights of Indian girls, of the novelist Fettouma Touati from Algeria describing women as the ‘still colonised’ of the post-colonial states, and of Helen Keller for whom ‘the whole word is my fatherland’, amount to a rich source of both hope and inspiration. The author is generous with her source material which includes The International Woman Suffrage News (formerly Ius Suffragi ) and the resources of The Women’s Library (formerly the Fawcett Library, and now under the custodianship of the LSE) and the book will provide much to provoke further research by those interested in emancipation and in the history of suffrage. Oldfield writes honestly of her own history, her German mother, troubled childhood and inspirational teachers and texts in ‘Sybil Oldfield at Seventy-Two: humanistic feminism—or thinking back through our grandmothers’ published in Women’s History Review (November 2010), locating her researches in the context of her own life. Her book is well indexed and referenced, littered with jewels in the form of incidents and insights, quotations and characters. The title of the book originates from Virginia Woolf’s ‘Thoughts on Peace in an Air Raid’ where she writes ‘Mental fight means thinking against the current, not with it’. Oldfield’s essays are a challenge to think in this way and to embed that thinking in praxis, to overcome the conditioning of oppressive and stifling cultural norms, and to work towards the realisation of those achievements which could be realised by the fulfilment of the latent potential of our personal and social lives.